The journal, born in 2001, has successfully grown during its first decade, progressing, developmentally speaking, beyond adolescence into full adulthood. This year, 2013, sees the journal entering its 'teens' even though it has matured beyond what one might reasonably expect of adolescence in terms of its stability, deep reach into a diverse range of academic disciplines across many international fronts, and its continued growth in a considered and systematic fashion. The IPJP has managed to become increasingly self-sufficient through the introduction of a processing fee paid by authors (albeit with exceptions from time to time) whilst simultaneously remaining true to its founding mission which was to provide an openaccess publishing platform with the view to supporting and disseminating knowledge around the fundamental tenets of a broadly-based phenomenological project. This was possible primarily because the past few years has seen significant financial assistance from the University of Johannesburg whilst one of the original founding sponsor universities, Edith Cowan University (in Western Australia), has continued to provide generous support. It is important here also to stress the value which was added to the IPJP through its formal linkage with the National Inquiry Services Center (NISC) as its publisher. It has been this continued support of the two universities in association with NISC that has ensured good prospects for growth as the journal moves steadily into its teen years, so to speak. As readers will have noted, the journal is attracting an ever-increasingly diverse range of papers, in terms of not only theoretical disciplinary backgrounds but also the country and culture of origin. The current volume is no exception since the authors hail from the United Kingdom, Eastern Europe and the Scandinavian countries, as well as from Southern Africa, including South Africa and Zimbabwe. The first paper by Eva Cybulska is a psychodynamic interpretation of Frederick Nietzsche's idea of the "Eternal Return of the Same" using the context of his life rather than his philosophical writings. In her paper, "Nietzsche's Eternal Return: Unriddling the Vision, A Psychodynamic Approach", Cybulska interprets Nietzsche's 'abysmal thought' in the light of Freud's theory of 'repetition compulsion', the 'uncanny', and the 'oedipal confrontation with the unconscious'. This is a daring paper that makes some bold psychodynamic interpretations of Nietzsche's thinking within the context of his 'lived experience'. The second paper entitled "Distress and Turmoil -Learning a Language, Ego States and being in the world" by Ewa Latecka suggests that learning a language is accomplished through the formation of 'language identities', and that for learning to occur there must be a permanent change in the identity of the learner. In other words, learning does not take place merely cognitively but must entail a fundamental change in one's ego state, this being referred to as a "linguistic ego state" which is facilitated through some form of existential crisis or 'distress and turmoil'. Tone Saevi in her paper "Between Being and Knowing: Addressing the Fundamental Hesitation in Hermeneutic Phenomenological Writing" addresses the notion that an 'existential givenness' of the world is the basis for 'lived writing'. Using a hermeneutic phenomenological approach, Saevi argues that 'phenomenological writing' is only possible when the writer has a deep appreciation that understanding the universe is intertwined with the sophistication of one's language and, importantly, that this language must be the "right" language to facilitate understanding. The fourth paper in this edition, "Fathering a Child with Autism Spectrum Disorder: An Interpretive Phenomenological Analysis" by Claudia Martins, Stephen Walker and Paul Fouché, points out that while much research in the area of autism has focused on issues around poor maternal mental health and increased maternal emotional distress, there has been little work exploring the coping strategies of fathers of children suffering from autism spectrum disorder. Their paper reports on the outcome of semi-structured interviews with five such fathers, explicated through an interpretive phenomenological analysis approach. Martins and her colleagues discuss the interview results, and make recommendations regarding the amelioration of the many existential challenges arising from such parent-child relationships. Quite different from the previous papers, the research by Oliver Mtapuri and Pudurai Mazengwa entitled "Of Spirituality and Poverty: A Zimbabwean Cultural Perspective" is a so-called 'desk study' that explores the phenomenon of poverty in relation to "African spirituality." The paper argues that poverty alleviation strategies are doomed to fail if they do not fully take into account the cultural perspectives and "material world" of those they are wishing to help. Development projects tend to be "disconnected" from the psychic and spiritual reality of the people themselves, and this paper argues that a challenge is to research culturally appropriate approaches to development issues using phenomenological rather than natural scientific approaches. "An Account of Healing Depression Using Ayahuasca Plant Teacher Medicine in a Santo Daime Ritual", the final academic paper in this first edition of 2013, is a personal account of depression being healed through the use of a specific plant medicine in a ritualistic setting in Johannesburg, South Africa. The author, Jean-Francois Sobiecki, refers to certain plant medicine preparations as 'spiritual medicines' since they promote, his paper argues, enhanced awareness and a deeper connection to oneself and others as well as providing a marked appreciation of the cosmology in which one exists. His paper explores the benefits of using such medicinal plants in ritualistic practices. Volume 13 (edition 1) draws to a close with a review by Chris Milton, a New Zealand-based Jungian analyst, of the 2011 book "Phenomenology for Therapists: Research into the Lived World" by the Linda Finlay, a British psychotherapist. We hope that you, the reader, will experience this edition as intellectually and emotionally rewarding as it was for the IPJP team who put this edition together. Professor Christopher Stones, previously of Rhodes University in Grahamstown, South Africa and currently Professor of Psychology in the Faculty of Humanities at the University of Johannesburg, has enjoyed a lengthy academic and research career, in the course of which he has taught in the areas of physiological, clinical, forensic, social, and research psychology. He is Vice-President of the South African Association for Psychotherapy and past Chairman of the South African Society for Clinical Psychology. Editor-in-Chief of the Indo-Pacific Journal of Phenomenology since 2003, he is also on the editorial panels of two other online journals. Using both natural scientific quantitative methodologies and phenomenological approaches, Professor Stones's research interests are in the areas of identity, attitudes and attitude change, phenomenological praxis and methodologies, abnormal psychology and psychotherapy, spirituality and religious experience, in all of which areas he has published extensively. 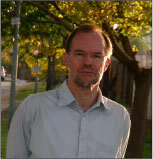 An Associate Fellow of the British Psychological Society, with which he is also registered as a Chartered Psychologist, Professor Stones is registered with the Health Professions Council of South Africa as both a research and a clinical psychologist, and conducts a part-time clinical practice with particular focus on adolescents, young adults and families, as well as offering long-term psychotherapy. In addition, he is regularly called on to serve as an "expert witness" in medico-legal (civil and criminal) court proceedings, and to contribute as a consultant in the field of forensic investigation. E-mail address: editor@ipjp.org.